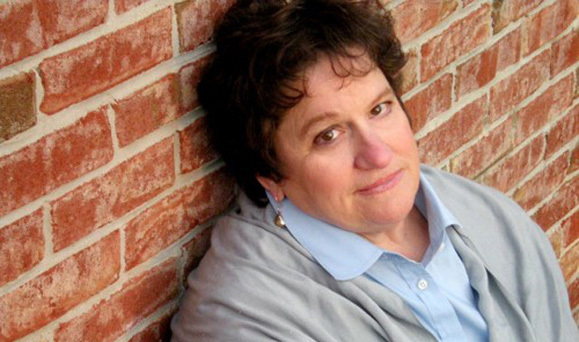 Amy Ellis Nutt won a Pulitzer Prize in 2011 for “The Wreck of the Lady Mary,” about a boat that sank off the New Jersey coast. She followed that newspaper story with a nonfiction book, Shadows Bright as Glass, tracing a man’s remarkable recovery from brain surgery. After researching the possibility that a container ship had crashed into the Lady Mary, Amy Nutt was convinced that there was a story to tell. “The Wreck of the Lady Mary” was printed as a special supplement in New Jersey’s largest newspaper, The Star-Ledger, in 2010, and Nutt’s grasp of the intricacies of the shipping world and the still-fresh emotions surrounding this tragedy won her the 2011 Pulitzer Prize for Feature Writing. A graduate of Smith College with degrees in english and philosophy, Nutt had settled on a life in academia. She enrolled in Ph.D. programs at MIT and Boston College, but when she had trouble keeping interest in either program, she decided to try something different. That’s when she became a fact checker for Sports Illustrated. Nutt calls the 1988 Summer Olympics her “ticket out of Boston.” Then in her 30s, Nutt moved back in with her parents in her native New Jersey and fell in love with working for SI. Eventually, she was able to write her first piece – a first-person article about growing up loving to play baseball – and received such a positive response from colleagues and readers that she realized she could be a nonfiction writer. Nutt enrolled in Columbia Journalism School to hone her skills and the rest is history. Nutt may have arrived at journalism in an unconventional way, but speaking with her at her desk in the Star-Ledger’s Newark office, you see that the energy she brings to her craft rivals that of a cub reporter. Her commitment to shoe-leather reporting has enabled her to write with incredible detail, a palpable sense of urgency and, above all, a passion that defines successful human interest stories. “I was able to figure out from people down on the docks that he lives in Wildwood [New Jersey]. I knew he was Mexican. So I drove to Wildwood, figuring I would find a Catholic Church and ask them where most of the Mexican and Mexican Americans go to worship. But right around the corner was a Mexican market.” Nutt went in and asked around, and people seemed to know who José was. Nutt exchanged numbers with them to follow up later, but before she even drove away, a woman from the market came out to tell her she had contacted a roommate of José’s and she knew his address. It was the first breakthrough for Nutt and her story, and just the beginning of the depths she would go to in order to recreate the events surrounding the crash and accurately portray the people who were impacted. While she was not able to prove definitely that the Lady Mary was run over by a container ship (at the time of our interview, the Coast Guard report had yet to be released) she was able to make sure that the sinking of the ship was fully investigated. Nutt’s level of involvement in her work is equally apparent in her most recent project, a nonfiction book entitled Shadows Bright as Glass. It began as another news series (also nominated for a Pulitzer in 2008) called “The Accidental Artist.” The series and book follow the life and work of Jon Sarkin, a man who suffered a catastrophic stroke and survived near-fatal brain surgery to become an artist with an insatiable need to create. While his recovery was undoubtedly miraculous, Sarkin’s transformation continues to be something of a mystery. Nutt meticulously chronicles the ongoing process of Sarkin’s self-discovery in Shadows. Through years of exhaustive interviews with Sarkin’s wife, Kim, his children, and family and friends, Nutt renders a portrait of an average American guy whose life is turned upside down by his sudden urge to paint, write, and express anything that comes into his mind. The book is also about the science behind the brain, a topic as dense and complex as the brain itself. Yet Nutt’s grasp of analogy and metaphor makes understanding the history of neuroscience and the brain’s perceived connection to the self a readable, if not enjoyable task. In one chapter, Nutt explains that the brain was thought by ancient Egyptians to be an unnecessary organ. The self, they believed, existed in the heart, which was why the brain was pulled out through the nose upon death. Fast forward to the 1980s, and Jon Sarkin’s surgeon understood that moving one nerve in his brain more than a fraction of an inch could immediately end his life. Beyond the fundamental questions about the self posed by Shadows Bright as Glass, Sarkin is simply a great subject for a book (or a movie – Sarkin’s story has garnered several movie offers over the years, none of which have materialized yet). Nutt kept all of Jon’s emails and art that he sent her, which came erratically but often – whenever Jon felt the need to put words down – and used this as a starting point for the project. “Jon was also someone who was very aware – I mean I think he has an artistic soul anyway – so he remembers details about his life.” This allowed Nutt to recreate scenes that happened 15-20 years ago, corroborating with friends, family, and even Sarkin’s brain surgeon. Word for word, moment for moment, Nutt captures the pain, confusion and unbridled creativity that bombards Sarkin as much as his family. Like “The Wreck of the Lady Mary,” Nutt’s love of writing and reporting shines through, and we as readers also feel committed to stick with these people, to see how their stories turn out. Nutt celebrated the launch of Shadows Bright as Glass as well as her Pulitzer Prize win at the Mutual of America building in New York, where her cousin Tom Moran is president and CEO. She is third-generation Irish-American on her mother’s side. According to family legend, both of her grandparents escaped from Ireland and met on a boat to America, promptly losing track of each other upon landing. Nutt’s grandfather spent three years tracking her grandmother down, and they eventually married and had six daughters. Throughout our interview, one word that Nutt used often was love: love of sudden deadlines, love of breaking stories, love of good old-fashioned sleuthing to get the facts straight. Reporting may change, but as long as the love of writing remains, Nutt’s work proves that journalism can excite, affect, and transform.